Ed Lin with his detective novels helps us to understand the latest elections in Taiwan. The results of the last elections in Taiwan were very surprising. When rereading some of the comments, it is clear that the fundamentals may have been forgotten in favour of personal preferences. The Taiwanese American writer Ed Lin, in a series of three detective novels, “A Taipei night market novel” (1), praises the charms of Taipei and reminds us of the essential features of Taiwanese history and society. With Qiu Xiaolong, Inspector Chen Cao is investigating air pollution in China. Qiu Xiaolong is a writer who has always made sure to renew himself. Although he is famous for Inspector Chen Cao’s police investigations, translated into some 20 languages and sold two million copies, poetry is an essential part of his work. Ovidia Yu, Singapore in the colonial era, two detective novels. Singapore is perhaps one of the best places to eat and where food is the main focus of residents’ concerns and conversations. 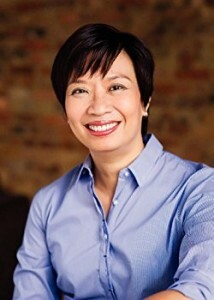 The novelist Ovidia Yu has written great crime stories in which the kitchen played a leading role and Aunty Lee, the cook of a small restaurant, found solutions to criminal investigations. Shamini Flint, Ovidia Yu, Barbara Ismail, discover detective novels from Malaysia and Singapore. Two or three years ago, I mentioned the qualities of several detective novelists from Malaysia and Singapore. 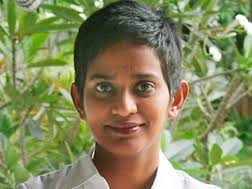 The success is confirmed: six novels by Shamini Flint are translated into French, Ovidia Yu publishes a third novel and Barbara Ismail, in a few weeks, will publish a fourth book. 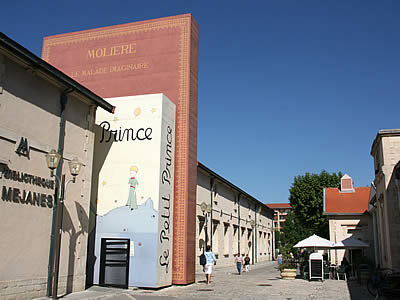 City of Books- Aix en Provence. 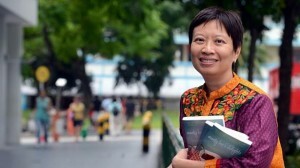 In Singapore, food can kill…in crime novels by Ovidia Yu. Asia is turning to be a real setting for crime novels. Everyone knows Inspector Chen and the Shanghai by Qiu Xiaolong, an excellent novelist. We have recently mentioned good novels in Malaysia with Barbara Ismael and Shamini Flint. We can now enjoy two novels by Ovidia Yu and meet Aunty Lee, a cook in Singapore and especially the Peranakan cuisine, one of the best in the world. Qiu Xiaolong: “Blue Dragon, White Tiger”, a Chinese political thriller. We often spoke of Qiu Xiaolong, a good writer and a pleasant character. His latest novel “Blue Dragon, White Tiger ” is a real success, a somewhat special investigation by Inspector Chen Cao as inspired by recent political events in China including the Bo Xilai case, a “red prince ” who has just been sentenced to life in prison . 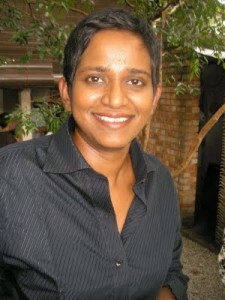 Shamini Flint and Barbara Ismail, crime stories from Malaysia to Beijing. 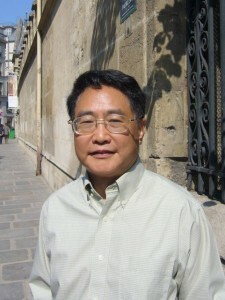 He Jiahong is a professor of Criminal Law at Renmin University in Beijing, a well known professor but also an author of excellent detective novels. I had the chance to meet him in Beijing in May 2008 and enjoyed his personality. During this interview, he mentioned that the rights of “Blood Crime” had been bought by Penguin as already four of his novels had been published in France by Editions de l’Aube. 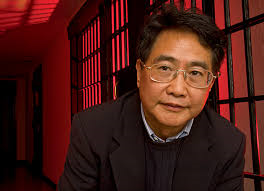 Qiu Xiaolong and “Cyber China”, internet and corruption in China. 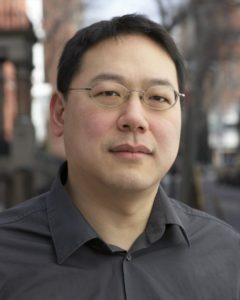 Qiu Xiaolong, a Shanghai writer who emigrated to the USA, has published during many years detective novels which are enthralling and detailed analysis of the social and political developments in modern China. 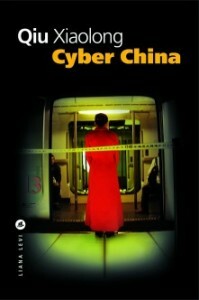 During his recent visit to Paris, we were able to ask a few questions concerning his latest book, “Cyber China”. In this novel, Zhou Keng, Director of the Planning Commission of Shanghai, committed suicide in a famous hotel, Villa Moller. Diane Wei Liang, from Tiananmen Square to detective novels. Originally published on Rue89, 29/5/2010. A childhood in a work camp, in love and activist in Beijing University during the “events” in Tiananmen Square in 1989. After graduating in psychology, Diane Wei Liang left China for an American university and a management consultant career. Now a mother, she lives in London, and has published two detective novels; the second, ” Paper Butterfly,” has just been translated into French. “Do not cry Tai Lake” by Qiu Xiaolong. Originally published on Rue89, 05/07/2010. Pollution by green algae is no promotion for tourism. This is true for some beaches in France,in Brittany, but also for Lake Tai. Only one hour by train from Shanghai, it is unlikely to be part of the tours offered to visitors of the Expo. This is what tells us the latest novel by Qiu Xiaolong, the master of the Chinese detective story. The Chinese world, the new Eldorado of the detective novel. 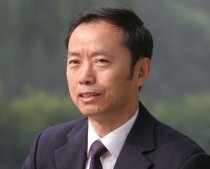 Two Chinese detective writers have been presented in the past: He Jiahong, a professor at Beijing and Qiu Xiaolong, who teaches in the U.S.The talent of these writers should not make us forget that many Western writers, use China and the Chinese world as a backdrop or a partner of their novels.